Photos from the ﻿2013 season games and events ﻿are posted here for your viewing. Hockomock League 2013 Football All Stars These awards are voted by the 12 Hockomock coaches. Hockomock Sports 2013 Football Awards These awards are selected by the HockomockSports.com staff. 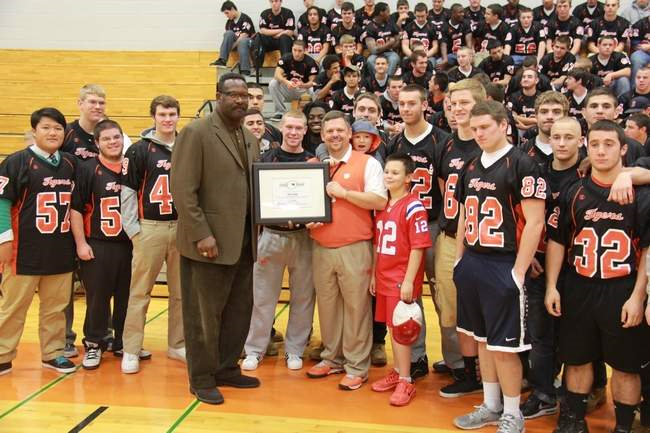 11/13/13 Former New England Patriots linebacker and Pro Football Hall of Famer Andre Tippett on Tuesday awards Oliver Ames High School's Coach Jim Artz as the Patriots High School Coach of the Week.